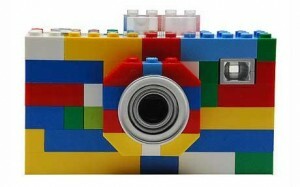 If your looking for a cool looking camera to get your kids enthusiastic about photography Lego may soon be able to help you. They recently announced that they’ve teamed up with Digital Blue to produce a range of children’s electronics, including a camera. Dad’s might be pleased to hear you don’t actually have to assemble the thing (it looks like traditional Lego blocks but doesn’t come apart and snap together), although personally I think that takes most of the fun out of it! The Bionicle Camera (pictured right) is due to arrive in Toys R Us stores this autumn, in the meantime if you want a camera your kids can actually build check out these instructions for pinhole cameras made from a matchbox or a juice carton. Or for something truly unique find yourself and old Mac and check out the instructions for the happy little mac pinhole camera! If you make any of these at home let us know how it turns out in the comments.